BOISE, Idaho — The U.S. Forest Service is illegally jeopardizing a small herd of bighorn sheep with deadly diseases by allowing thousands of domestic sheep to graze in eastern Idaho as part of agricultural research activities, environmental groups have said in a lawsuit. 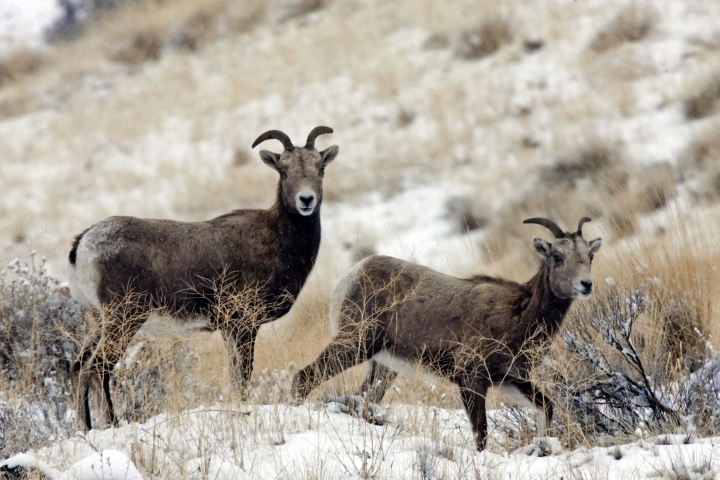 "It's unjustifiable for the U.S. Department of Agriculture and the University of Idaho to expose wild bighorn to deadly pathogens for the sake of a few months of free forage on the national forest," Scott Lake, Idaho director for Western Watersheds Project, said in a statement. "The value of native wildlife far exceeds whatever the state and federal government will get out of taking this chance." The lawsuit challenges the Forest Service's authorization of the grazing allotments in the Caribou-Targhee National Forest, an area also used by a herd of about 36 South Beaverhead Rocky Mountain bighorns. The sheep station has operated for about a century and in recent years has faced proposed shutdowns due to a declining federal budget. It has been kept open mainly through the efforts of U.S. Rep. Mike Simpson, R-Idaho, who has said the research is critically important to the sheep industry and eastern Idaho's economy.